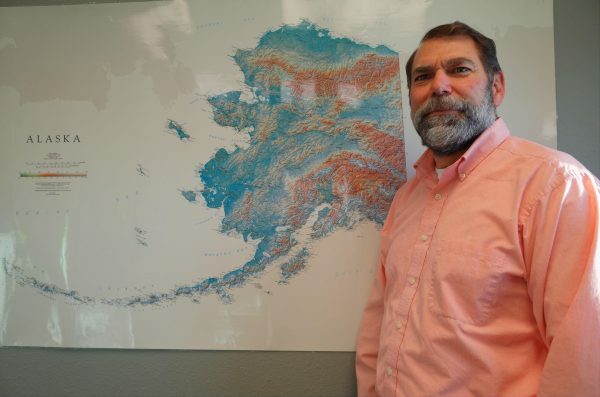 This week’s 49 Voices features Chugiak resident Jim Baldwin, executive director of the Food Bank of Alaska. BALDWIN: “I grew up in Missouri, and my aunt always hosted Thanksgiving at her farm in Illinois. And those are some of the most fondest memories I have, of all of the relatives and families getting together at the farm, and pies and turkey and the trimmings and all that stuff. And I’m fortunate enough to have those memories, but a lot of folks didn’t grow up that way. And for us to be able to provide Thanksgiving meals, and help create and build those memories, as people are raising kids and families gathering. You know everybody loves to help kids; everybody loves to help seniors. Those are kind of vulnerable populations. But there’s a big segment of our population — in Alaska, there’s over 100,000 individuals that we basically refer to as food insecure. There’s individuals all year long that need help. And it’s always heartwarming during this time of year, during the holidays, where people are stepping up and wanting to make sure that people have; the less-fortunate in our communities have access to enough food for a healthy, joyous time during the holidays. Some of our lowest times are after the new year, right around the February, March time frame, where things taper off and the holidays are over, everybody’s kind of back in their routine. We don’t quite get as large donations of food, and financial support. And then of course the summertime is another low period.